In Georgia, 90% of deaf people cannot read and write the native language, relying on sign language. 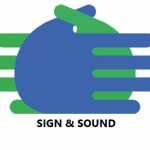 Sign and Sound provides special gloves to make communication easier, faster and more convenient for disabled people. Combining various sensors, a speaker, and a Bluetooth connection, the sign language translator gloves can recognize hand movements, translating them into words and vocalizing them using a speaker. Sign & Sound gloves are a step towards a world in which every person will be able to reach their fullest potential.